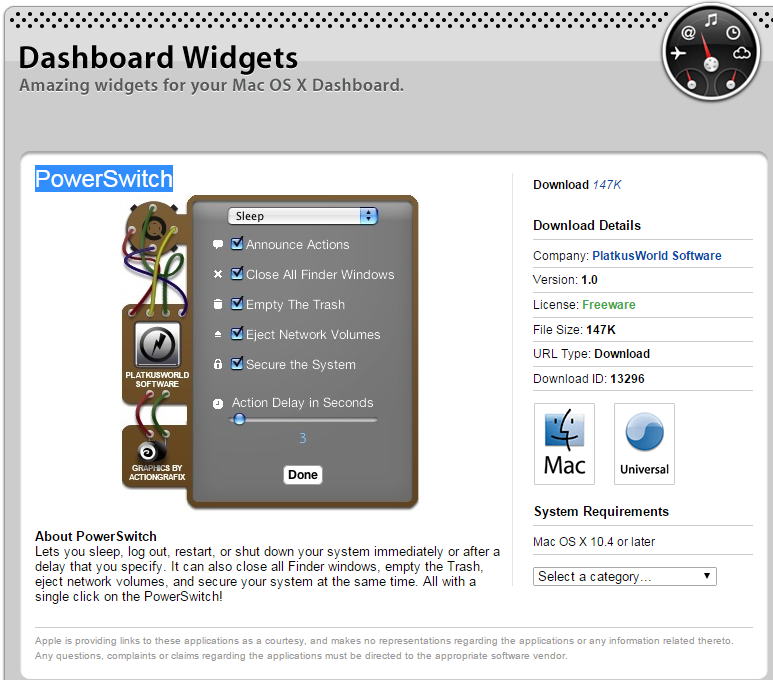 This great widget allows you to easily set up when you want your computer to log off, restart, shut down or put your Mac to sleep through a delay system that the widget puts in place. By simply pressing a button to activate the app, the countdown will start and put into action the different settings that you’ve specified. If you are interested in constellations and seeing the starry night sky but don’t have the high-tech equipment for it, then this widget is perfect for you. It allows for you to see all of the different stars that are in your current location as well as take a look at how the sky has changed over time by putting in different dates. 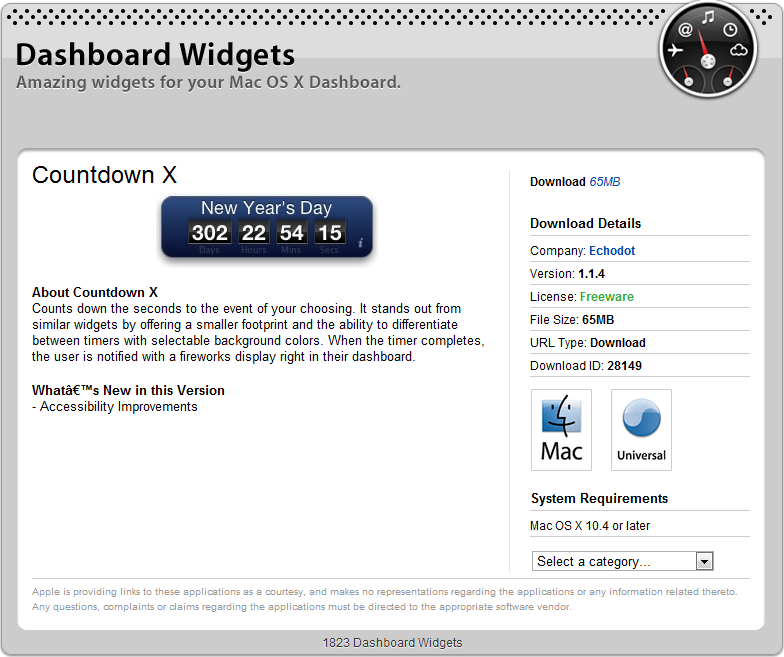 Countdown X is definitely one of the more practical widgets that Apple offers for everyday use. It allows for you to keep track of important dates and events, such as holidays, birthdays, and anniversaries while giving you an accurate countdown for each one. This is a great way to ensure that you never forget an important event again. 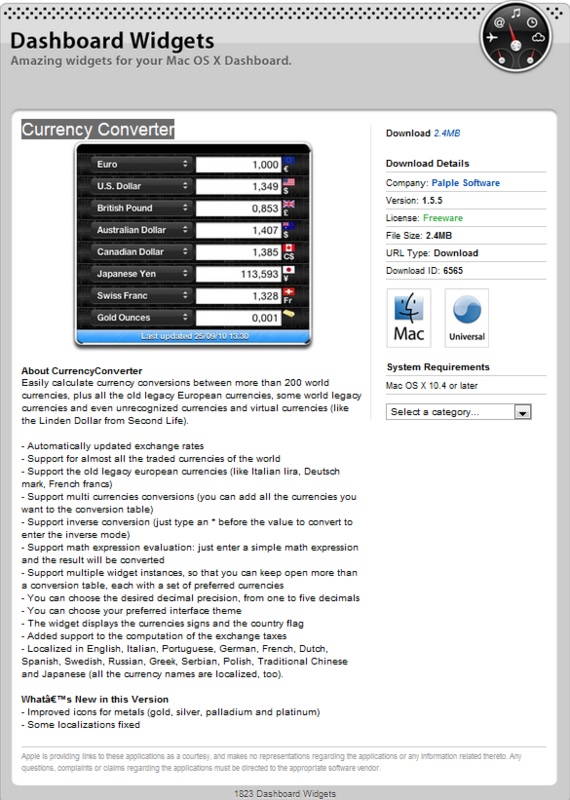 Many times, it can be difficult when working with people around the world to understand the conversion of one form of currency to another. This fabulous widget gives you a simplified way to convert currency so that you have a better understanding of how much you’re really spending. This widget can also be a great asset for travelers, as it can be crucial to understand the value of items in foreign countries. With the rise of social media throughout our world, it is no surprise that Apple has come out with a great way to see what is going on in your Twitter feed. 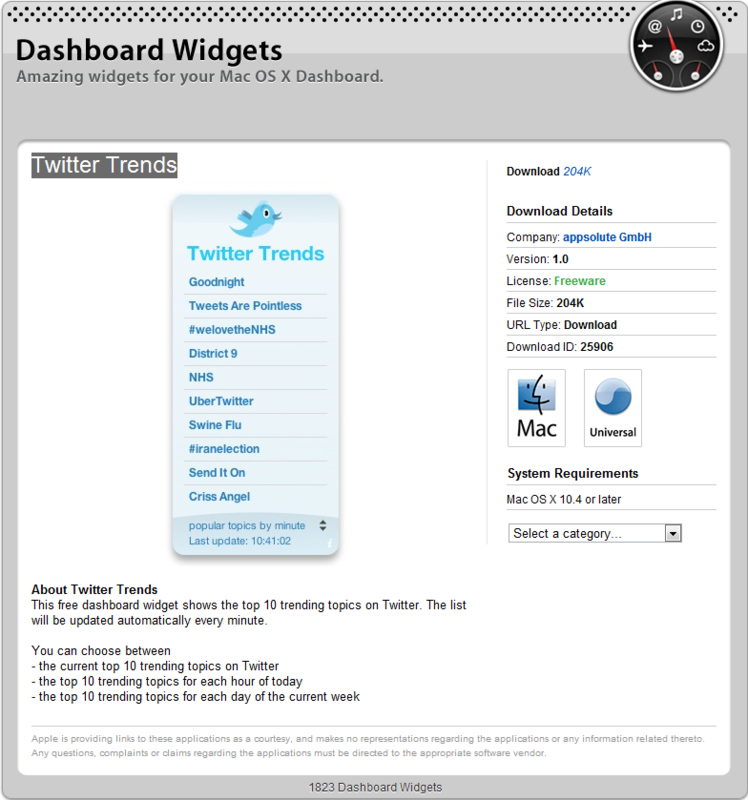 This simplified widget allows for you to see what the hottest topics are on Twitter, and can put out a new list every hour, every day, or every week depending on your preference. This great widget allows for users to easily track multiple packages from multiple companies at the same time. 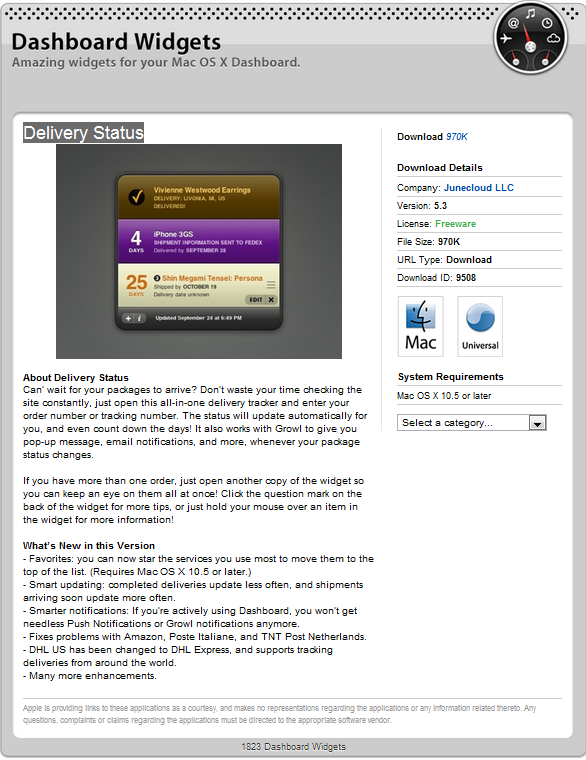 Delivery Status will also notify you on your main screen of any changes or delays of your packages, which simplifies the correction process when something is not accurate or is not coming as soon as expected. With the increasing use of the internet around the world and the rise of online work and businesses, there is a new problem arising with keeping track of all of the different time zones for everyone. 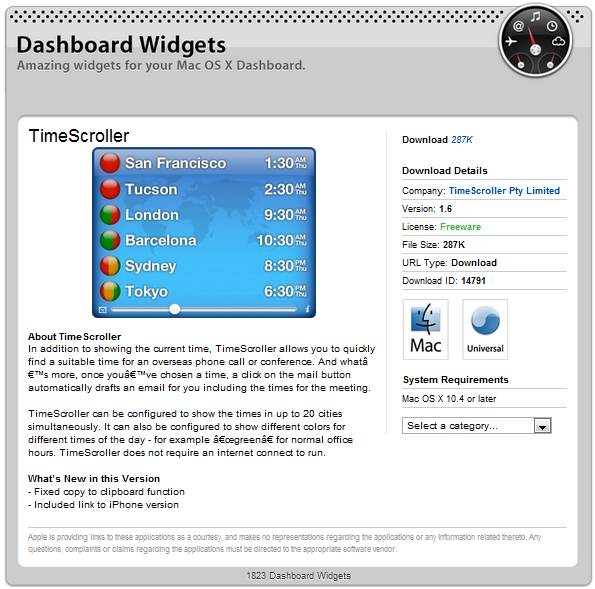 This great widget simplifies all of this by showing all of the locations you choose in a list along with all of their current times. For many people who love their sports but have to take care of other business, or can’t actively watch the game, this widget shows the scores for the team and sport you choose and will also allow you to keep track of multiple sports at once. It’s definitely a must-have for all of the major sports fans out there. Currently, it covers all of the basketball, hockey, baseball and football games. 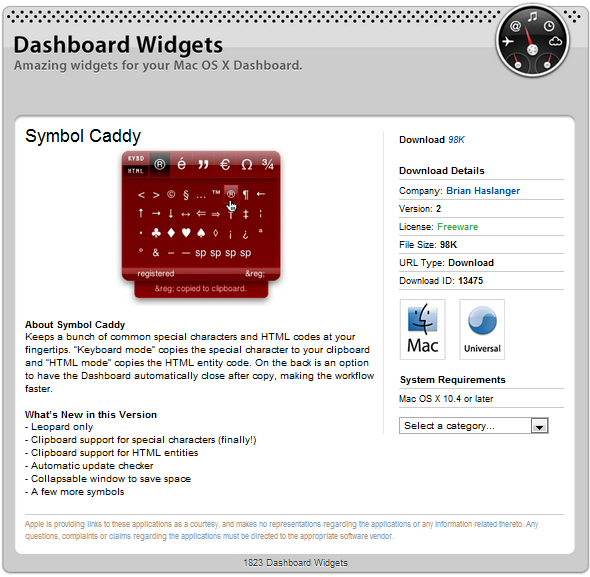 The symbol caddy could very well be one of the essential widgets to have on any Mac. This widget is especially helpful for people who have dealings in multiple languages and need to have quick access to different symbols on a consistent basis. It allows you to simply copy and paste the characters straight from the widget into any document, making this once frustrating process much more user friendly. As so many people are increasingly using their phones, computers, tablets and other technology to store photos and files, it can be difficult to keep track of all of them across the various devices and platforms. This great widget allows for users to easily share files and photos by simply clicking and dragging them into the app. In conclusion, there are a great many widgets that you can use on your Mac to help increase your productivity, keep track of simple tasks, and help you stay on top of everything that matters to you. By knowing what you want and what you need, you are able to better find and use the right ones for you, making your once useless dashboard an indispensable tool. Does MacKeeper Work? – Find Out Now! Keeping Your Mac Healthy: Is MacKeeper Good?